Ajahn Sujato conducts an intermediate / advanced meditation class for approximately one hour. Recorded at Dhammaloka Buddhist Centre, Perth, Western Australia. Ajahn Sujato conducts intermediate / advanced meditation class for approximately one hour. Recorded at Dhammaloka Buddhist Centre, Perth, Western Australia. Ajahn Sujato conducts an intermediate/ advanced meditation class for approximately 1 hour. Recorded at Dhammaloka Buddhist Centre, Perth, Western Australia. Ajahn Sujato conducts an metta/ loving kindness meditation class for approximately 1 hour. Recorded at Dhammaloka Buddhist Centre, Perth, Western Australia. Ajahn Sujato leads us in a meditation on contemplating the four elements and explains the benefits of this form of meditation. 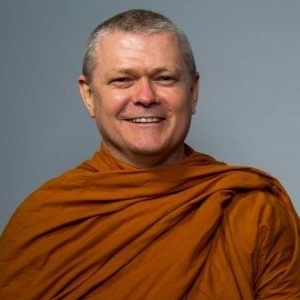 Ajahn Sujato talks about spirituality and technology and advises us to make conscious decisions in the digital realm. Ajahn explains that we should be very cautious of what data we upload online because we won't know the implications of our actions until it is too late. Ajahn also talks about the addictive nature of social media. Ajahn Sujato conducts a meditation for approximately 30 minutes.